The National Disability Insurance Scheme promises a new era in disability supports. It aims to provide Australians choice and control over their NDIS plans and how their funds are spent to lead fulfilling lives. But securing the right plan which delivers on NDIS promises, depends on how well you prepare for your critical planning meeting. 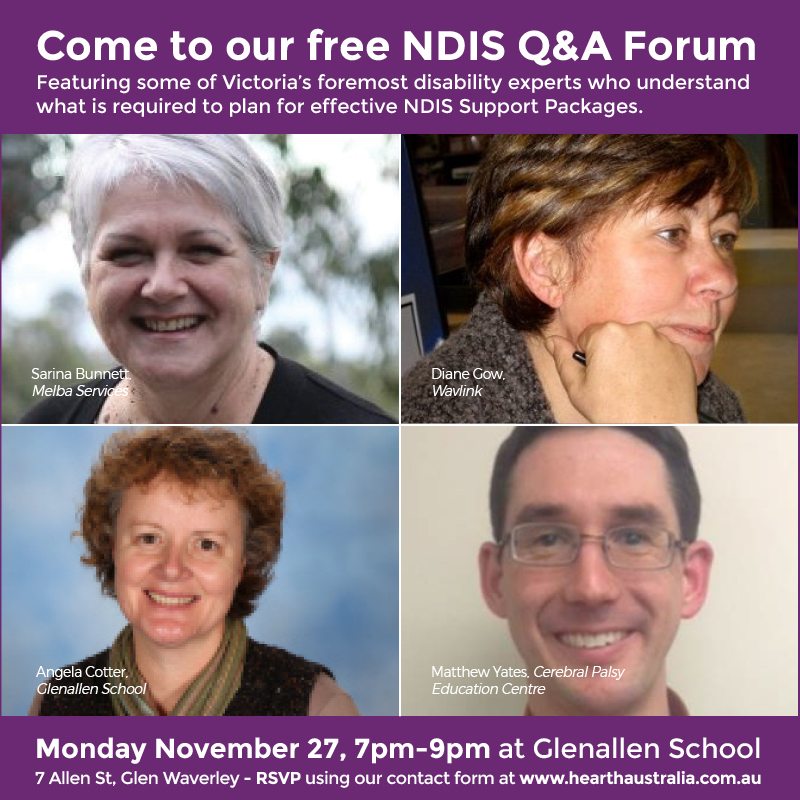 Hearth Support Services is bringing together some of Victoria’s leading disability experts to provide a special free two-hour forum which will guide you with NDIS pre-planning and reaching your goals with your plan. If you are keen to cut to the chase and develop the best disability support plan for yourself or a loved plan, this is a fantastic chance to learn how. Use our Contact Us form, click on the Event RSVP tab and register your interest now!